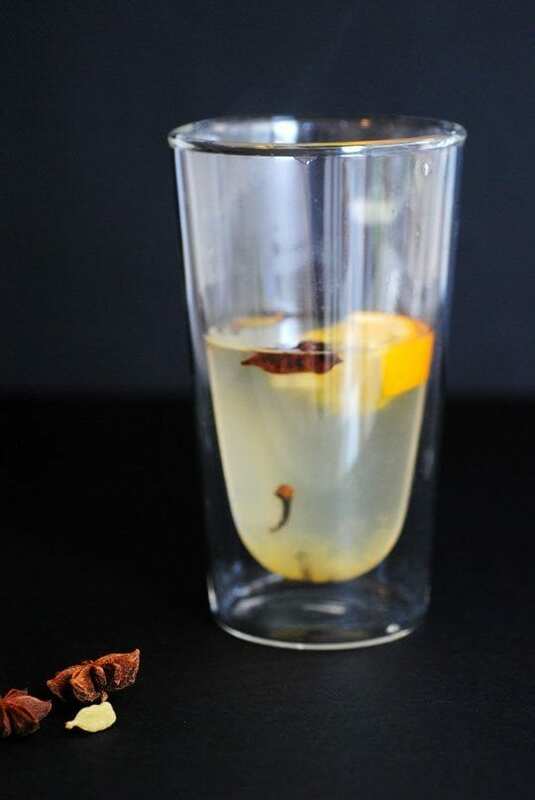 How about the Gin Hot Toddy to warm and enrich you. Add honey and spices to the bottom of a heat-proof snifter or mug. Pour in the water, add the gin, and squeeze the orange and drop it into the glass. Stir until the honey is melted.